A Heart Mountain barrack, an original structure saved and preserved from the concentration camp in Wyoming. This is one of the notable artifacts on display in "Common Ground: The Heart of Community ", an ongoing exhibition of the Japanese American National Museum. Two rooms of the original barracks, meant for a famly of two or three. 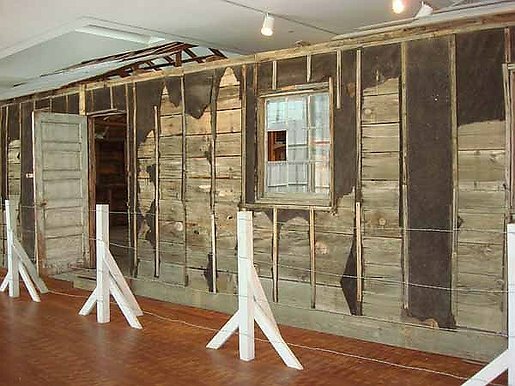 More than 10,000 Japanese Americans were incarcerated in barracks like this during WWII. To learn more about Japanese American National Museum, visit at janm.org .